I don’t know what came over me. Just after New Year, I don’t know if it’s guilt over the excess at Christmas or the New Year New beginnings thing, but I found myself doing some uncharacteristic cleaning and apparently I’m not alone. I asked around and quite a few friends found themselves doing this as well. 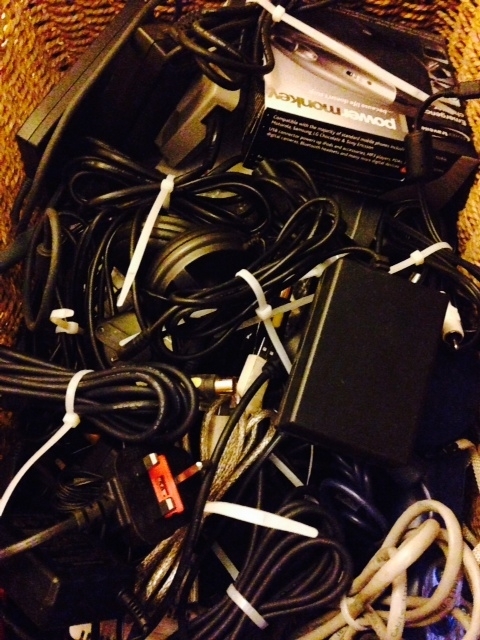 I started by tidying my basket of cables, it was like spaghetti junction, simply using cable ties. I can never make myself throw out cables as you never know when you may need one. Then with a bad back, I clambered under the stairs and gave it a good clean and created some useful storage space for wrapping paper. Personally I think it’s genius. Like everyone else, under my sink, was something nightmares were made of. I wish I took a before picture. 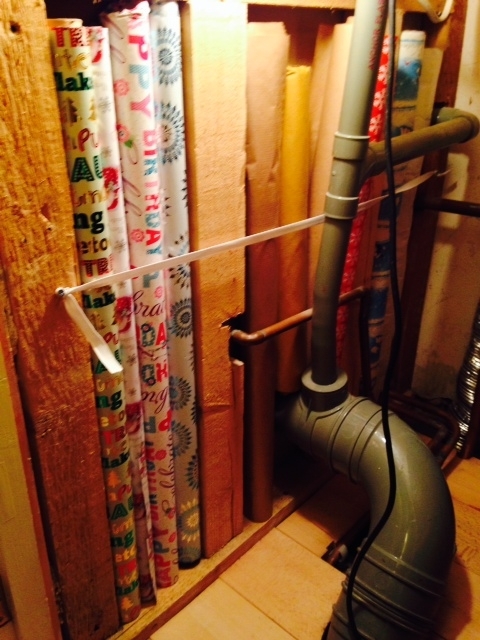 I found these fab shelves that fit around pipes. I still need a few more basket to store the towels but it’s a start. 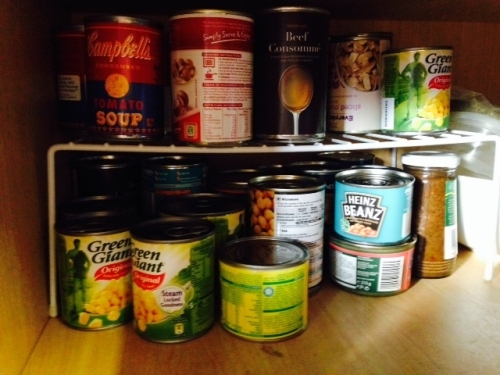 And finally, I doubled the space in my cupboard using this simple rack. My next mission is my bedroom. I’m on the hunt for clever ways to store scarves and necklaces. Suggestions? Tie rack for scarves and i use door hooks stuck onto wardrobe to hang necklaces. Love that idea and sounds simple enough that even I could manage it. Thank you. At my last house I took a piece of that fretted board that you get tocover radiators, painted it and hung it on the wall. You can then use picture hooks to hang necklaces, earrings etc so you can see everything easily, avoid tangles and have a colourful bit of wall art too! A pretty pin board for necklaces. You can attach it to the inside of a cupboard door. Or a pretty mug tree – you can disguise it if necessary by wrapping ribbon around the trunk. I usually use coat hangers for scarves and belts. One of the bloggers I follow uses a bust (statue) to hang her necklaces on and it looks really cool. These simple ideas here definitely increase the self storage space in your home! 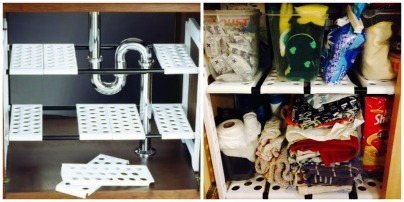 I could definitely use some of the ideas too because I’ve given up trying to use the space under my sink because of the pipes and the moveable rack shelves look like the perfect solution. Previous Previous post: How to teach your kids how to sew….